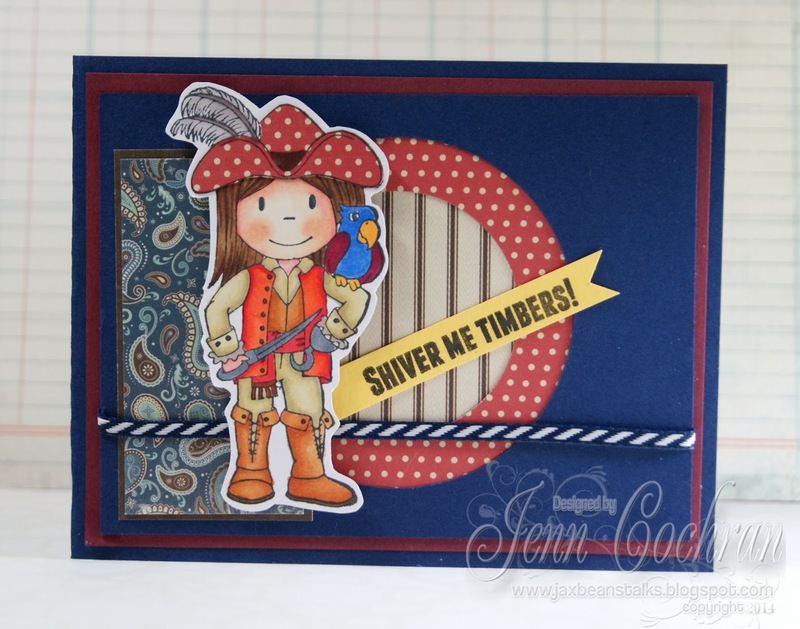 Well, Shiver Me Timbers I have Pirate Owen to share with you today. Jenn here from Jax Bean Stalks. Hope everyone is getting crafty this week! I have colored Pirate Owen with Spectrum Noir markers. 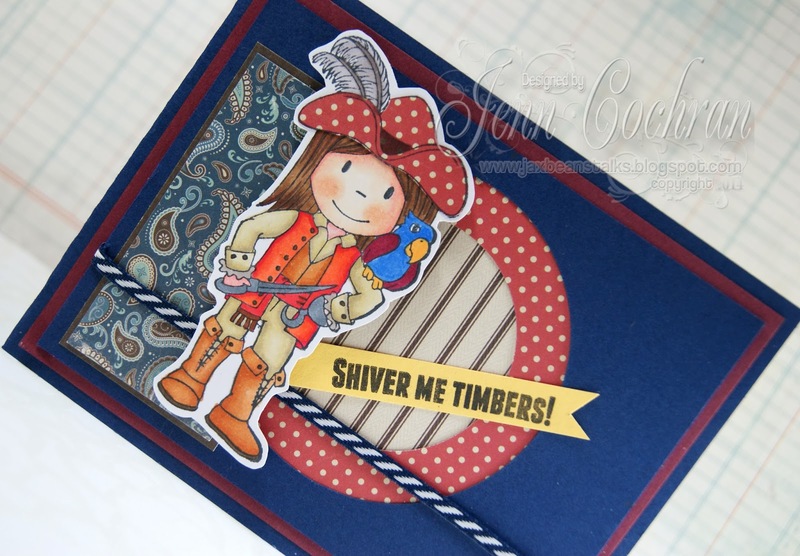 I paper pieced his hat with papers from Carta Bella Giddy Up designer papers. 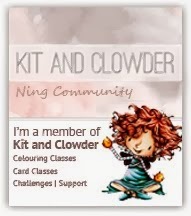 This little cuttie card is going in my Bean's lunch box tomorrow. With the long weekend I know he will have a hard time going back to school tomorrow. He is attached at my hip when he is off. So, it makes it hard to get back into the swing of things with just having had 4 days off. Hopefully this card will cheer him up in the middle of the day. Adorable card! - I love the hat! Awesome card - the hat is perfect.